It was sheer coincidence, but more than a tinge of irony coloured yesterday's news that the Supreme Court of Canada will hear Nevsun Resources' appeal of a court ruling that accusations against it regarding the use of forced labour at its Bisha mine in Eritrea should be heard in British Columbia, not Eritrea, just as a new report revealed evidence of the Eritrean regime's use of forced labour and exposed transnational mining companies' contributions to supporting the regime. A group of Eritrean refugees allege that as military conscripts, they were forced to work for an Eritrean military contractor at Nevsun's Bisha gold-copper mine, in violation of international laws against forced labour, slavery, and torture, and that Nevsun was complicit in their treatment. The allegations have not been tested in court. So far, Canadian courts have rejected Nevsun's arguments that the case should be heard in Eritrea, not in B.C. where it is based. In November 2017, the B.C. Court of Appeal upheld lower court's ruling that there was a real risk of corruption and unfairness in the Eritrean legal system, while acknowledging the considerable practical difficulties of hearing the claims in British Columbia. 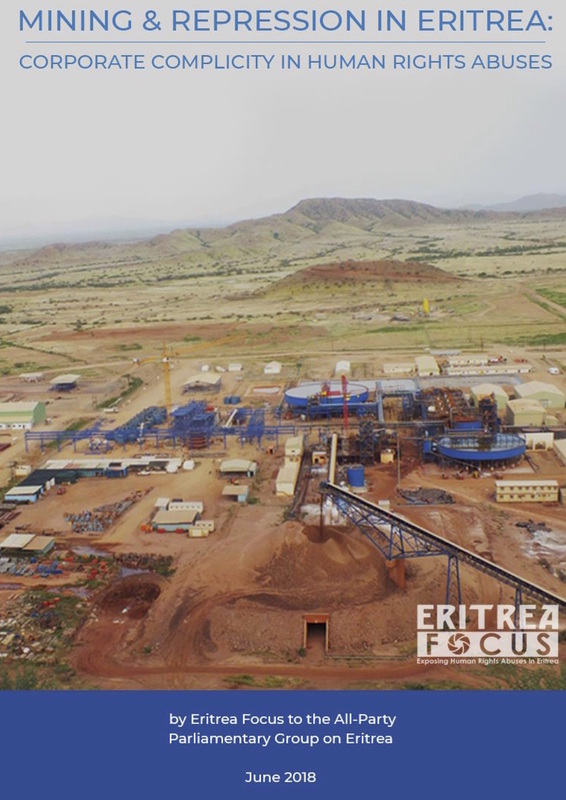 At the same time, UK-based Eritrea Focus published a new report, "Mining and Repression in Eritrea: Corporate Complicity in Human Rights Abuses" as a submission to the UK All-Party Parliamentary Group on Eritrea. The report notes that in addition to accusations of forced labour dating back a decade, transnational mining companies – with Nevsun in the forefront – provide important income and financial support for the repressive Eritrean regime with little to no transparency and accountability on either side. The report notes that "Nevsun has “consistently cited confidentiality non-disclosure agreements” when questioned about its finances by the UN Monitoring Group on Eritrea and Somalia."